Will Cecilia High's Logan Duplechien defend his 2015 Crying Towel? Join Lafayette Kiwanis at noon on Tuesday, August 22nd, at the Petroleum Club as we crown the winner of the Crying Towel for the 65th Annual Kiwanis Jamboree! This luncheon will feature coaches from all of our participating teams. It is a highly entertaining and most anticipated kick-off to the 2016 football season. We look forward to seeing you there! 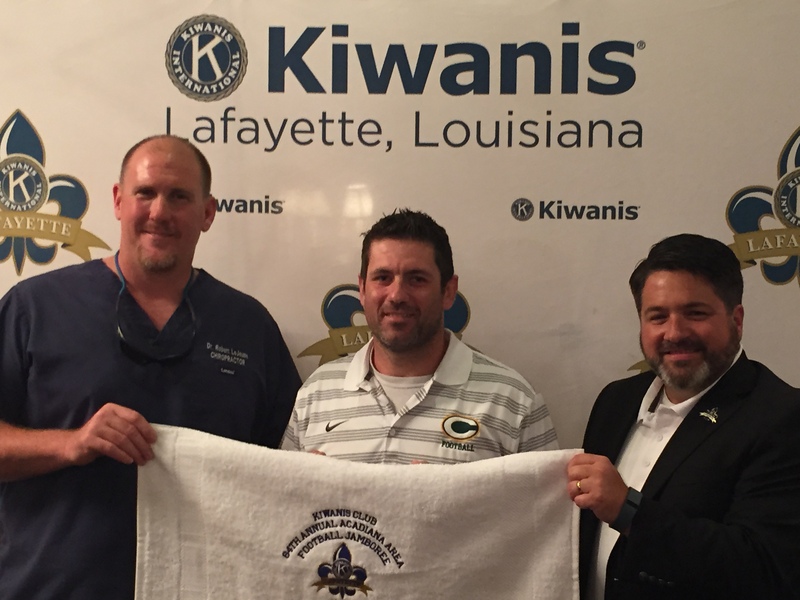 Kiwanis of Lafayette thanks LUS Fiber for sponsoring this year's Crying Towel. I would like a line up for Jamboree. Who plays at what time?? on 25th and the 26th..Thank You..
Games on both nights start at 5 pm. The start times thereafter are variable.